I just returned from an amazing vacation. 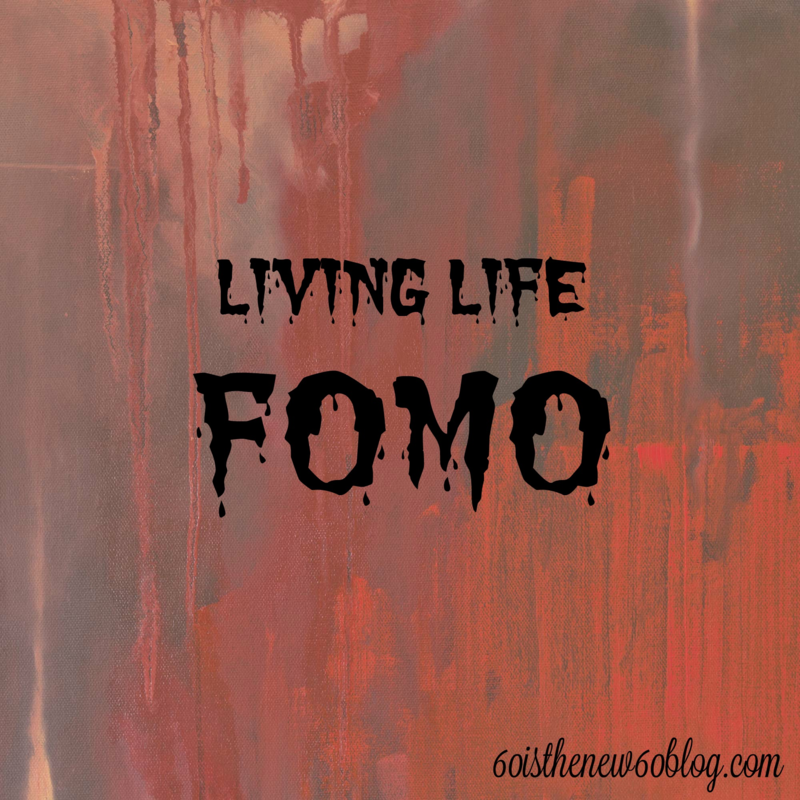 One of the lessons learned is that I have spent the majority of my life living FOMO. For anyone who may not know what that means, it is Fear Of Missing Out. I found that I was pushing myself probably harder than I should have by walking farther, getting up earlier, staying up later, eating more, and just trying to keep up with everyone for fear of missing out on something. What could I have missed out on? Who knows? But I didn’t miss out on anything because I fully participated in everything. This thought came to me as I walked about a mile to the Vienna State Opera House while some of the others took the train. Honestly, I think I was afraid of feeling weak, of missing out on conversations (like those on the train didn’t have a conversation – duh! ), and mostly of appearing old (uh, hello, I’m old!). This got me thinking about the rest of my life and how often I have done things FOMO. More often than not, it was something I would not have done at all except that friends were doing it and it ended up being a great experience. FOMO is the reason I took the NALS and NALA certification exams, it is the reason I’ve attended most of the events I’ve attended, it is the reason I served as an officer and on committees, it is the reason I have traveled to conferences and vacations, it is the reason I have not one, but two (so far) blogs, it is why I’m involved in two direct sales companies, it is, quite simply, why my life has been so amazing and why I’m not currently a hermit with no friends, one email address, complaining about body aches and pains, and living a completely boring life. I’ve spent the whole of my life trying to fit in and be liked. While I still like people to like me, that isn’t as important as fitting in. I guess I would rather melt into the crowd than be noticed. I know from conversations with others that apparently that theory doesn’t work well and that lots of people notice me and know who I am. I always think that if I’m there and quiet, people might see me, but no one really knows who I am. But when you are active, helpful, and show up to things, apparently people pay attention. It’s really dumb of me to even think that because what do I do at events? Stand back, watch, listen, and figure out who people are. Why would I expect that others wouldn’t do the same? When I initially thought about this topic, I expected it to be negative. I expected to showcase the things I’d done in life because I was afraid of missing out and the things I’d missed out on because I was more scared than I was fearful of missing out. When I actually sat down to write, I discovered that I really didn’t miss anything because I actually took part in lots of things I wouldn’t have otherwise. I got out of my comfort zone and did things I didn’t think I wanted or was ready to do, but that were really good for me. So to all my friends and family who used my FOMO (whether you knew it or not) to get me to participate in something, thank you! I think from here on out I will embrace my FOMO and continue to live the good life. This entry was posted in FOMO on May 24, 2017 by Kathy.